Basically, you start in the centre, loop out to a corner, then back down through the centre to the opposite corner in a fat-topped figure eight fashion (let’s assume you do the first one vertically), then scoot back through the centre and make another figure eight going on the other plane (e.g. horizontally). You don’t stop and start for the entire flower, just cross over in the centre point. After making your two big figure eights, you swing back to the centre and make two smaller and narrower figure eights to fill in the gaps between the large one. 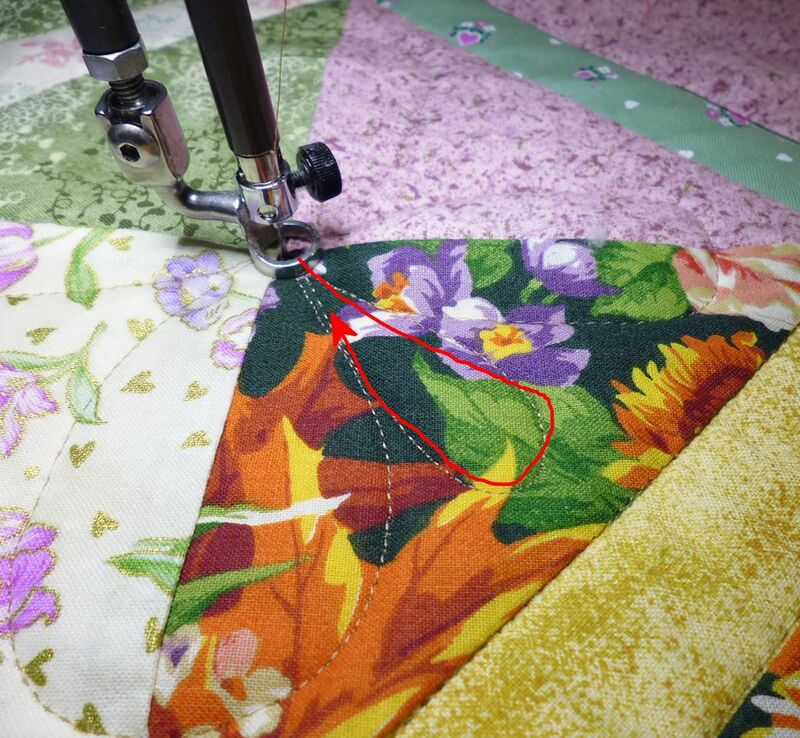 Then you swing back to the centre again and echo stitch inside the fat figure eights so that there’s a double line for them. And that’s it. It’s certainly much easier to do than to describe! Hopefully the pictures and the diagram below will help. And this is how I got there. First, start in the centre and loop out to a corner, swinging back to the centre. Next, finish the bottom of that figure eight. When you get back to the centre, keep stitching and loop out to the horizontal plane, doing another figure eight to the left…. …and then to the right (or whatever feels most comfortable for you). 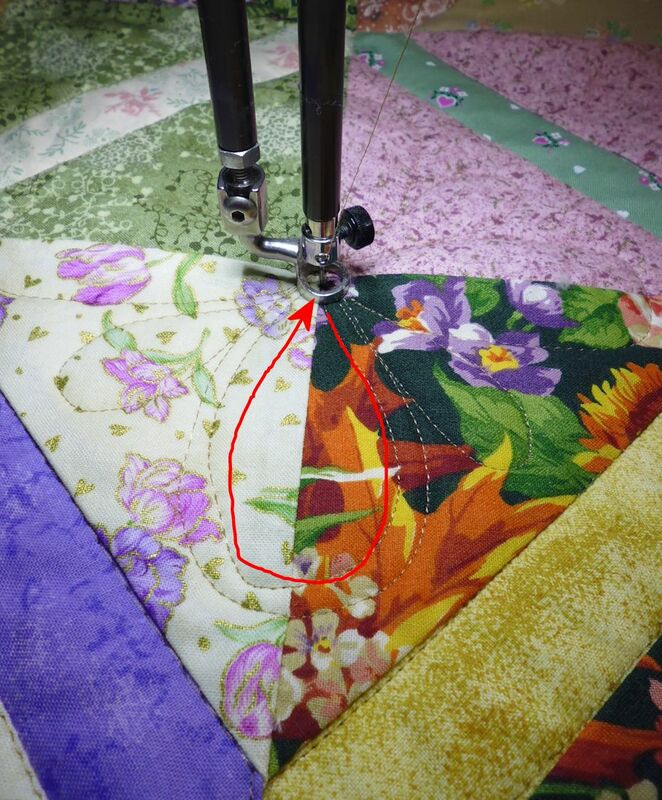 Swing back through the centre again, and this time stitch a smaller, narrower petal in between two of the large loops. Swing through the centre again and repeat on the opposite side. 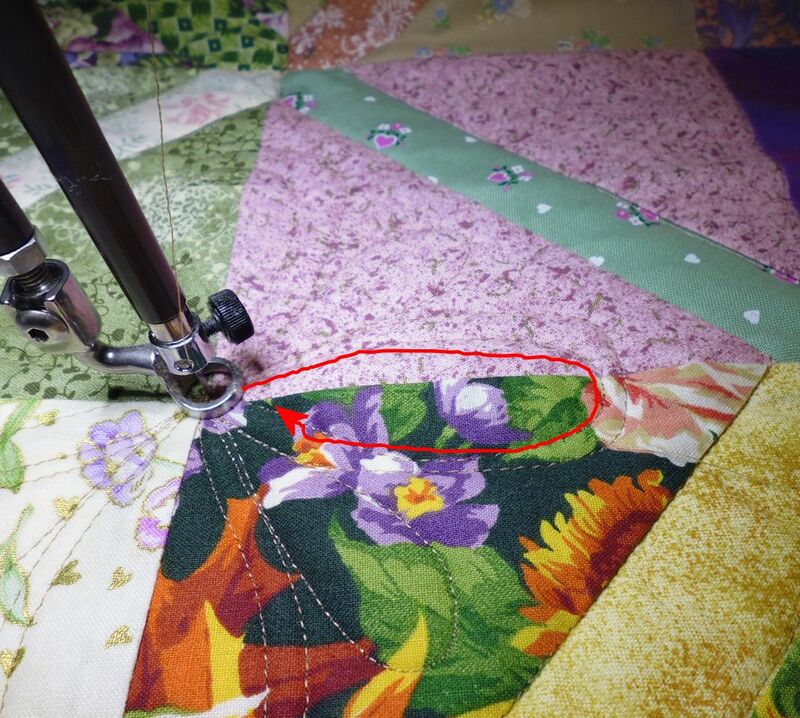 After completing all eight petals of your flower, add some extra oomph to the large petals by echo stitching about 1/8 to 1/4 inch inside each one — you don’t have to be precise! 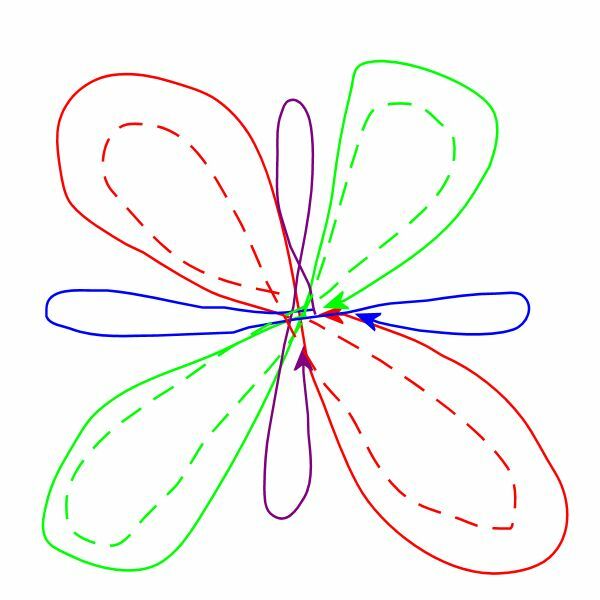 Swoop back down inside one of the large petals and echo stitch it from the centre, around the loop, and back to the centre. Keep on stitching through and echo stitch the opposite fat petal. 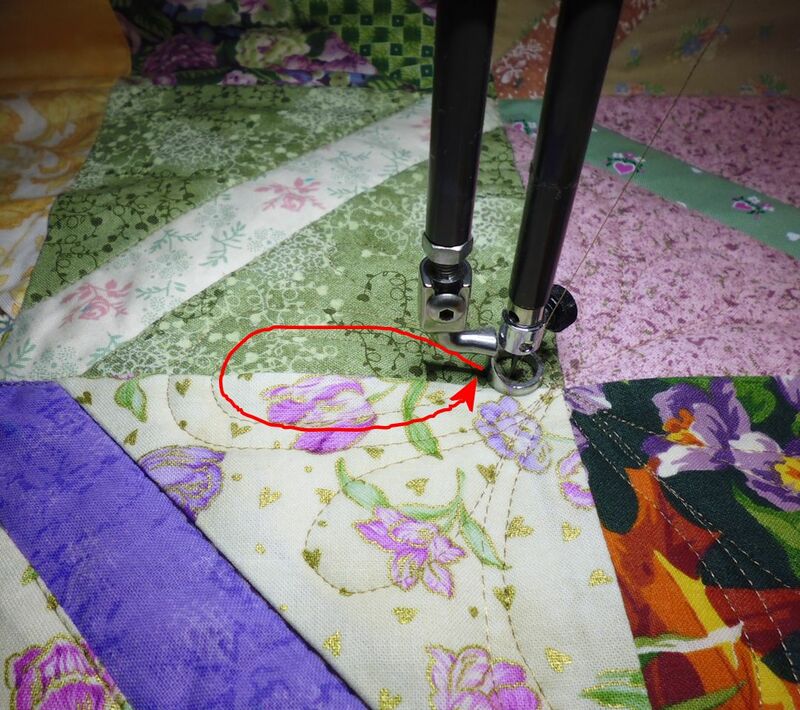 Swoop back through the centre and echo stitch inside the last two petals, forming yet another figure eight through the centre of the design. 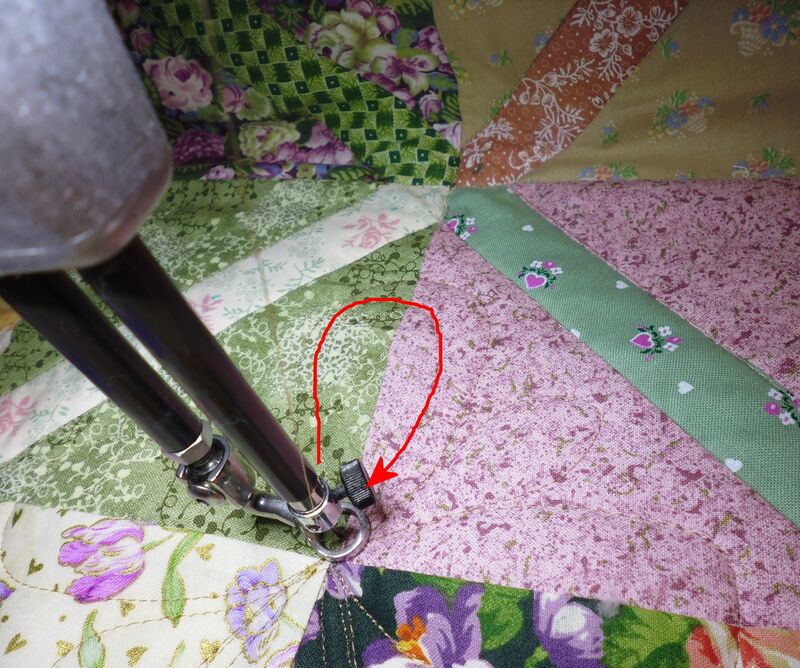 Again, unless you are using plain fabric, you don’t have to be perfectly precise with where your centres cross — the crossing point will get lost in the fabric design. And below is a really basic drawing of the stitching lines — each colour is another figure eight loop/infinity symbol, with all crossovers occurring in the centre of the block. Thanks for the demo/illustration. I’ll try it.